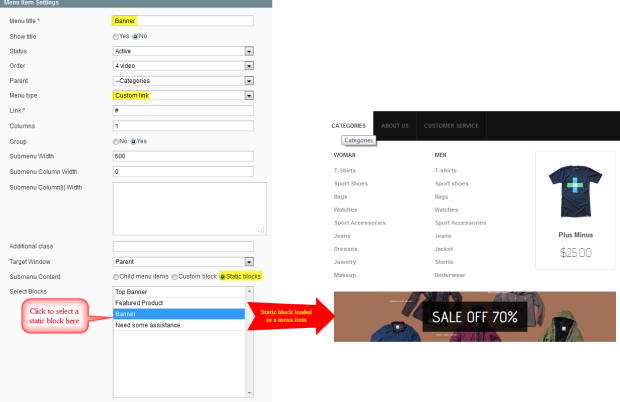 NOTE: We’ve developed a native UB Mega Menu extension for Magento 2. Check out the userguide for UB Mega Menu here. The amount of clicking, searching, and navigation is reduced. 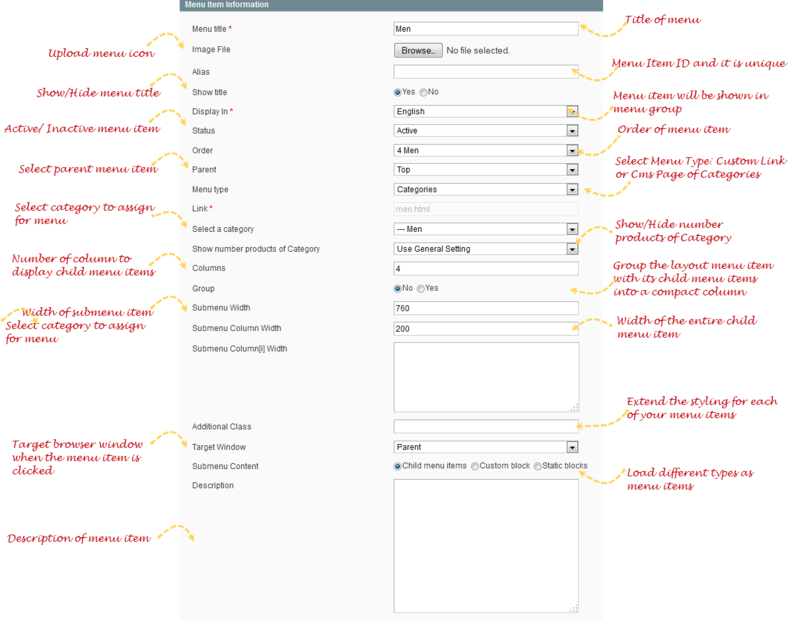 To add menu group, navigate to Mega Menu >> Manage Menu Groups and then click on Add Menu Group button. Group Title: to identify group name. 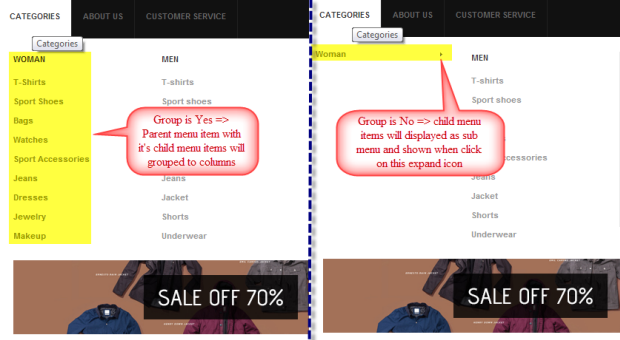 Store View: to identify store for menu group to display in frontend. To add menu, navigate to Mega Menu >> Manage Menu Groups and select a group that you want to add menu item then click on Add Menu Item button. Image File: to upload file favicon to display image of menu item in frontend. Size of icon depends on icon size in design. This parameter is useful for menu items you don’t want to show up in frontend, but Item ID of menu item must be unique to be used by child content pages. 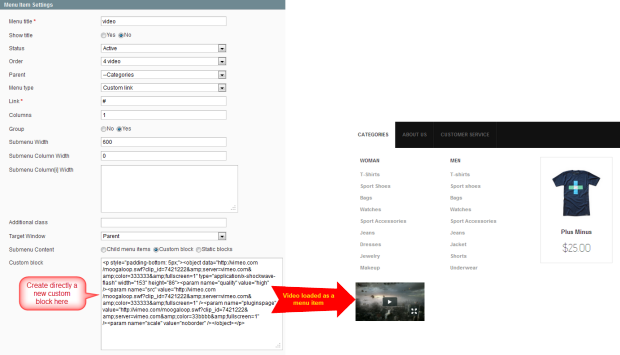 And on frontend, Menu will show a cms page. 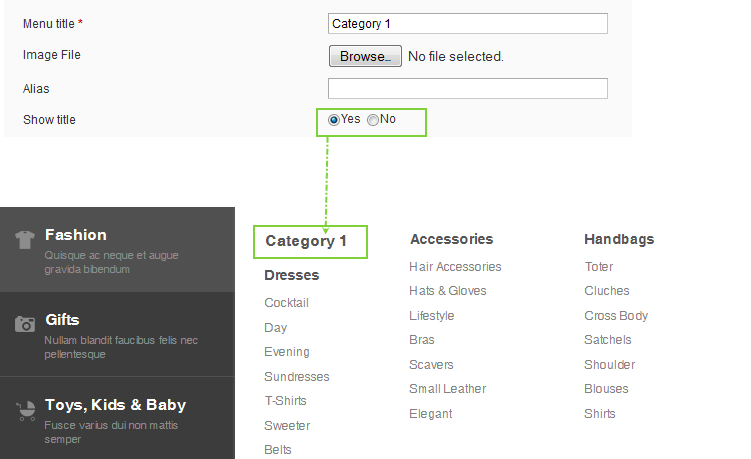 To work with this menu type, you must navigate to Catalog >> Manage Categories to add magento categories that will be selected to displayed for menu on frontend. 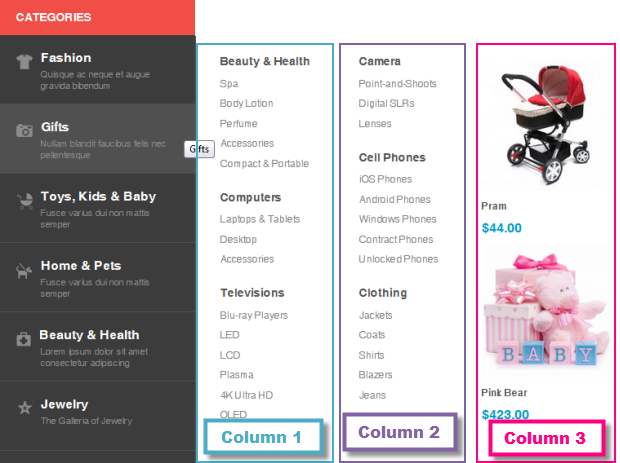 Columns: This parameter defines the number of columns needed to display child menu items of a parent menu item. 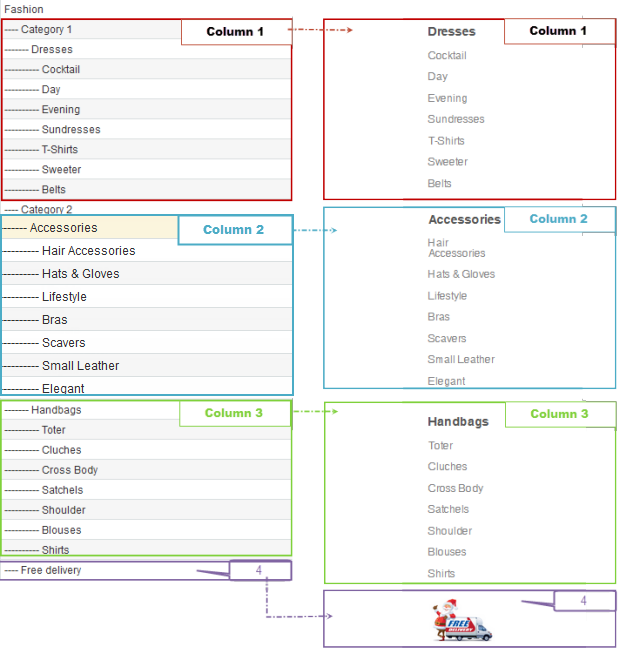 If you have for instance 4 child menu items, you will have to set this parameter to 4 columns for the parent item of these menu items. 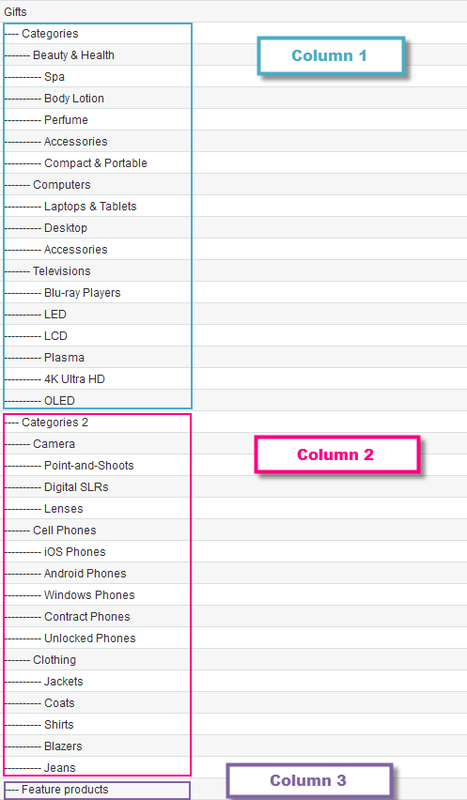 Group: This parameter will group the parent menu item with it’s child menu items or content items to form compact columns. The default value of this parameter is No. Block: You can also load static blocks which are created on Back End. To create static block, please navigate to CMS >>Static Blocks.